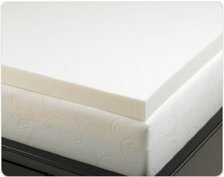 Pros Stands out for its extra supportive memory foam. Enhances sleep quality by reducing pressure points. Cons Has a relatively strong odor when first unpacked, although it tends to go away after a few weeks. 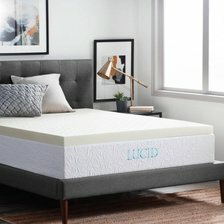 Summary Hands down the best all-around mattress topper in terms of comfort, durability, and quality of sleep. Pros A must-have for anyone seeking improved circulation and relief from pain and pressure points. Cons The material may a bit too firm for some owners. 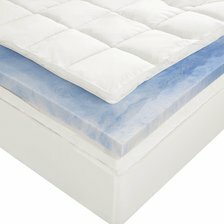 Summary This mattress topper has a dual layer construction, which provides relief from aches and pains but can also shift around during the night. Pros A top choice for its resistance to dust mites and other allergens. Features open cell technology for lasting foam memory. Cons There is a strong initial chemical smell, but it seems to disappear after a couple of days. Summary You'll pay more for this mattress, but most owners agree that the steep price tag is worth it for the added comfort and support. Pros Garners praise for its eco-friendly formula, which uses plant-based ingredients without sacrificing quality or comfort. Cons A handful of owners wish this mattress topper was a bit firmer. Summary A great choice if you're looking for a mattress topper that you can easily sink into. 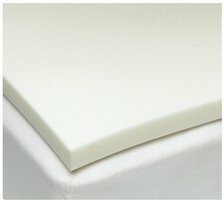 Pros Its unique memory foam technology is designed to mold to your shape when you go to sleep - and it really works. Cons Can take a few days to decompress and air out after initially opening the package. Summary If you're looking for an affordable mattress topper that will give you exceptional performance at an affordable price, this is the best choice for you.